Scallops have such a mild flavor, it often gets lost when paired with heavy accoutrements such as bacon. Goodness knows I love bacon, but I think a lighter hand with this bivalve is the best approach. When more robust flavors are incorporated the scallop becomes more like tofu or a cracker where it’s just a vehicle for less subtle elements. Dry the scallops with a paper towel. 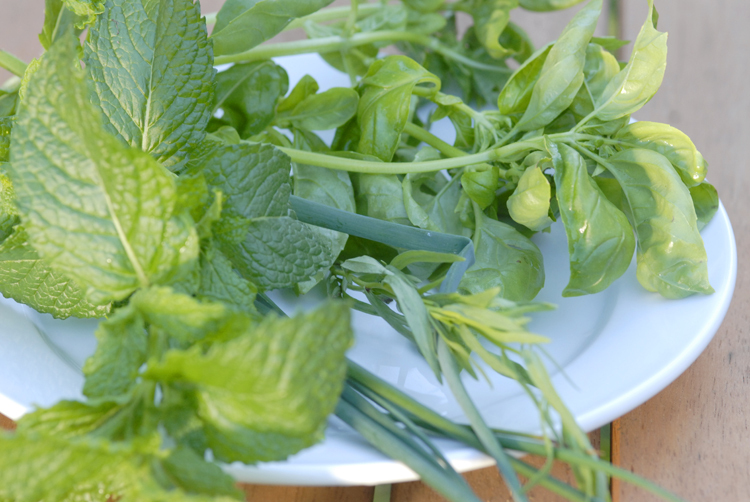 Place scallops, herbs, oil, salt and pepper in a bowl and mix until combined. Let marinate in the refrigerator for about 1/2 hour to an hour. Meanwhile prepare grill for medium heat. For every three scallops thread two skewers, leaving a bit of space between the scallops for more even cooking. 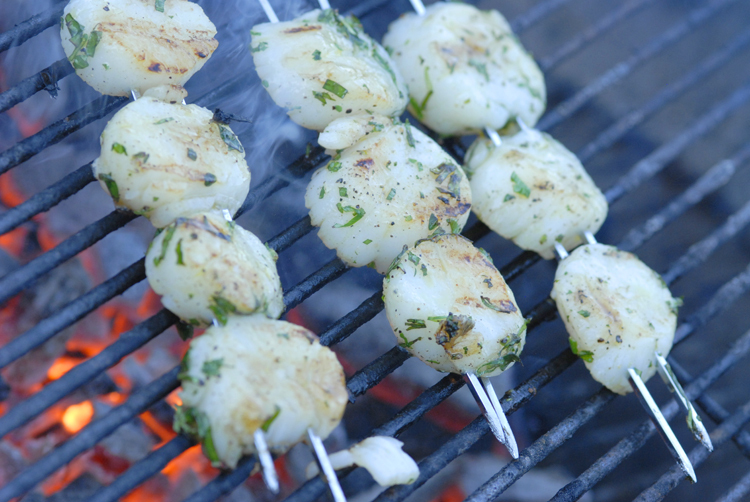 Lightly drizzle both sides of the skewered scallops with agave nectar. Rub grill with more oil to prevent sticking. Cook for about 2 minutes per side. 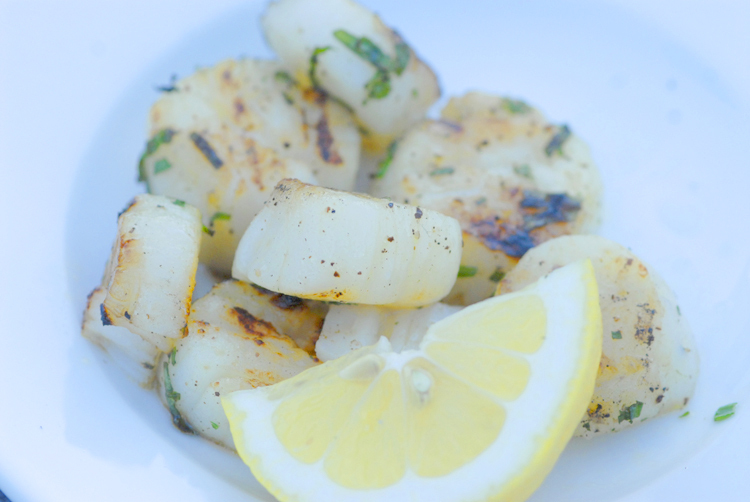 Try to get a light caramelization without overcooking the scallops. Give a quick and light squeeze of lemon over the top. This entry was posted in appetizers, recipes and tagged BBQ, grill, seafood by MixedSoup. Bookmark the permalink.